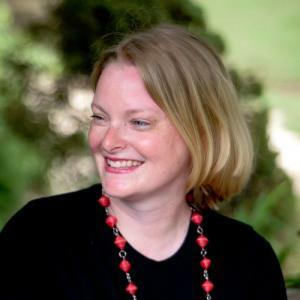 Deborah Meyer Abbs, who graduated from University of Illinois–Champaign/Urbana with a degree in journalism, works as a freelance journalist and blogger as well as serving as a disability ministry coordinator for InterVarsity Christian Fellowship in Illinois and Indiana. Her writing has been featured in Chicago Parent Magazine, Autism Asperger’s Digest and the National Association of Special Education Teachers (NASET) E-Journal. She was a columnist with the Kane County Chronicle and a contributor to www.comfortinthemidstofchaos.com/. She received a certificate for completing the Beyond Suffering Course run by Joni and Friends International, a course which she highly recommends. She lives in Illinois, with her cop husband, Mike, their two sons, Brandon, 18, and Luke, 13, plus a nutty English bulldog named Crystal. 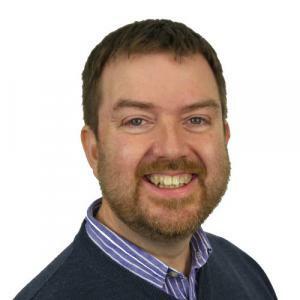 Mark Arnold is the Additional Needs Ministry Director at leading national Christian children’s and youth organisation Urban Saints and is Co-Founder of the Additional Needs Alliance, a vibrant and fast-growing online community. He is an enthusiastic national and international advocate for children and young people with additional (special) needs or disabilities and is passionate about enabling everyone engaging with them to be inspired, trained and well resourced. Mark is a Churches for All and Living Fully Network partner, as well as being a member of the Council for Disabled Children. He blogs as the national award winning ‘The Additional Needs Blogfather’, and is father to James, who has Autism Spectrum Condition and associated Learning Disability. Kathleen Deyer Bolduc is a nationally recognized author and speaker in the field of disability ministry, concentrating on disability’s impact on the family system, and ways in which churches can become more welcoming of families that live with disability. Her books include The Spiritual Art of Raising Children with Disabilities (Judson Press, 2014), Autism and Alleluias (Judson Press, 2010); A Place Called Acceptance: Ministry with Families of Children with Disabilities (Bridge Resources, Louisville, KY, 2001); and His Name is Joel: Searching for God in a Son’s Disability (Bridge Resources, Louisville, KY, 1999). Her articles have appeared in Guideposts, The Cincinnati Enquirer, Family Ministry: Empowering Through Faith, The Journal of Religion, Disability and Health, Quaker Life, Youth!, DreamWeaver, and Fellowship in Prayer. Make sure to drop by and visit her blog at her website. You can also find her at her author Facebook page and her personal Facebook page. Kathy’s speaking ministry has taken her around the United States. 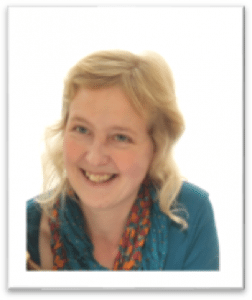 She is available to speak or hold workshops on the following topics: Searching for God in Autism, Making the Church a Place Called Acceptance, and Disability and the Family System. 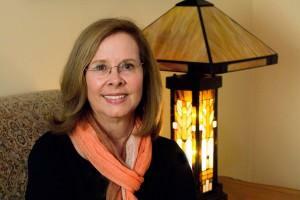 Kathy holds a master’s degree in religious studies from the College of Mount St. Joseph in Cincinnati, Ohio. 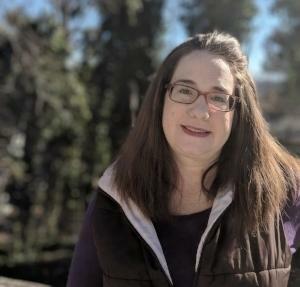 Kathy’s passions include searching for God in the everyday, sharing lessons learned in 24 years of living with Joel, spending time with family and friends, contemplative prayer, bird-watching, long walks in the park, writing fiction, and reading a good novel at bedtime. 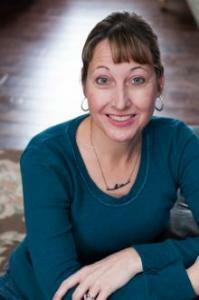 Sarah Broady is a mother passionate about encouraging parents of special needs children. She is married to her college sweetheart, Kyle Broady, who is in ministry at their church in eastern Kentucky as the Pastor of Worship. They have three boys. 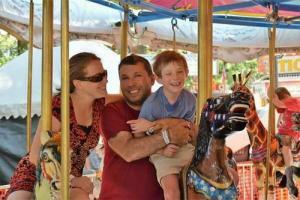 Their second son was diagnosed with autism at the age of 2. It turned their world upside down, but God is using it for His glory in more ways they could have ever imagined. Sarah advocates for children with autism within her current state of Kentucky as well as her former state of Maryland, where she spoke for government tasks groups and both State and House committees making crucial decisions for waiver benefits, in addition to lobbying on Capitol Hill for meaningful policies and laws that benefit families living with autism. More than speaking in the political arena on behalf of families living with autism, her greatest desire is to reach the hearts of special needs parents and give them the hope that is found in Christ. Sarah participates in special needs ministry outreach at her church and also leads an encouragement group (and the group leaders) here at Key Ministry. Karen holds a doctoral degree in Public Health and Preventive Care. Growing up, she sensed a call to serve children with special needs and their families, but was surprised when her own daughters led her into this reality. Ironically, their collective struggles with autism, anxiety, depression and chronic illness led Karen to love God more than ever! 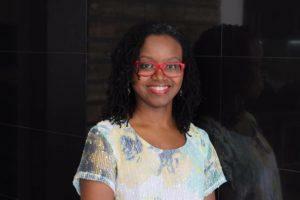 It also spurred her work in program development, advocacy, speaking and writing. In 2014 Karen published an award-winning book (the one she wished she could have read as a young mom) for use by parents and support groups. Persevering Parent: Finding Strength to Raise Your Child with Social, Emotional or Behavior Challenges promotes hope, joy and effective principles for special-needs parenting. Dr. Crum also founded Successful Living with Autism through Training and Education (SLATE), she trains parents on behalf of the National Alliance on Mental Illness, and teaches graduate students online for the University of New England. In free time, Karen loves to spend time at home with her family in Northern California. There they watch wildlife on the Sacramento River, throw balls to their dogs, and cuddle with their cats. 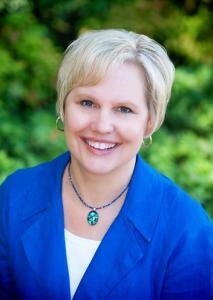 You can join Karen’s blog at www.PerseveringParent.com. 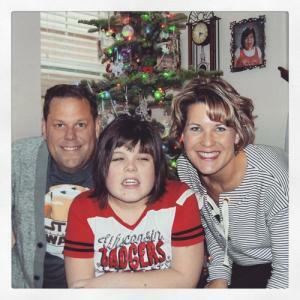 The mother of three children, all of whom have a variety of chronic illnesses or special needs, Barbara Dittrich founded Snappin’ Ministries (Special Needs Parents Network) in 2002 prior to its merge with Key Ministry in 2018. Snappin’ was one of three finalists for WORLD MAGAZINE’S HopeAward for Effective Compassion in October of 2009, in conjunction with the American Bible Society. With a unique vision for serving parents of children with chronic illness, disability, or special needs, she led her team in developing an innovative parent mentor curriculum. 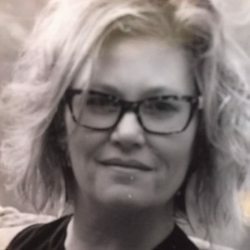 She lives with her husband of over 25 years in Southeastern Wisconsin, writes and speaks nationwide, and has contributed to a number of blogs since 2002. Barb also opines on her personal blog http://www.barbdittrich.com/. Melanie is a mom of 3 and wife to Sean. thankful for more than 20 years together). Melanie and Sean’s middle child, Gwendolyn, has a mutation of the SCN2A gene, which causes global developmental delay, seizures, low muscle tone, cognitive delay, and sensory processing disorders. Gwendolyn does not walk or talk without assistance. Yet, Gwendolyn is fearfully and wonderfully made by God. Without words, she touches people just the way God created her. Melanie enjoys a double blessing – loving the girlie and sharing what she learns from her about God’s character, at her blog, mylifewiththegirlie. Hi! My name is John. I have spent 15 years in education, working with children from Infants to Middle School, serving in a variety of roles including Teacher, Mentor Teacher and School Director. I have a passion for public speaking and adult/parent education, and have conducted several curriculum workshops at previous schools. I am also very involved in our church community, having served on fundraiser teams, as a Ministry Leader and, of course, Sunday School teacher. I live in Northbrook, IL with my wife Elizabeth and our son Christopher (ASD), and am currently a Second Grade Teacher at a Charter school in North Chicago, IL. My family and I have been extremely blessed by all the faith based outreach that we have experienced, both from our own church and through many organizations, including Joni and Friends. Although I have not written professionally before, it is a hobby of mine and something I seek to use as an outlet for parents (especially dads), to find comfort. I hope you will enjoy my work, God Bless. Married for 24 years with 2 teenage boys, Melanie Gomez’s passion is to share the message to every special needs mom that there is joy, there is purpose and there is hope in their journey. With a master’s degree and years of experience in the corporate world, Melanie now finds herself an expert in the non-traditional areas of: care-giving, juggling multiple social and therapeutic schedules, chauffeuring, and cheerleading for her family. Her favorite hobby is encouraging other women and moms, whether over a cup of tea in her living room, or on a stage before a multitude. Melanie, husband Tony, and boys Ben and Nick, recently moved from Chicago back to their native Florida, where they are looking forward to sunshine and flip flops all year long. 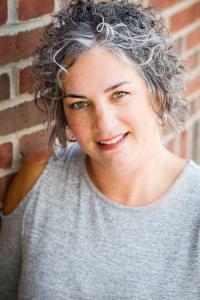 Lisa Jamieson is an author, speaker and advocate who founded the Minnesota Disability Ministry Connection and serves as executive director of Walk Right In Ministries. 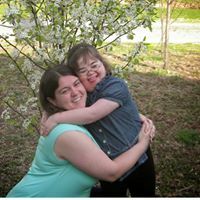 Lisa had been working as a professional writer and corporate training designer for over 15 years when her third daughter, Carly, was born with Angelman Syndrome. In their first book together, Finding Glory in the Thorns, Lisa and her husband, Larry, recount the early years of Carly’s life and what happened when the community loved her (released by Ambassador International in 2008). Since then, Lisa has authored the Finding Glory Group discussion curriculum, Living Your Glory Story, and the children’s book Jesus, Let’s Talk which celebrates young people of all abilities from around the world and highlights key prayer words using American Sign Language. The Jamieson’s story has been featured internationally on television and radio including “Words to Live By,” Canada’s “100 Huntley Street” and My Refuge Radio Belize. Lisa and Larry have been married almost 30 years and have three grown daughters. Carly lives at home with her parents in Maple Grove, Minnesota. 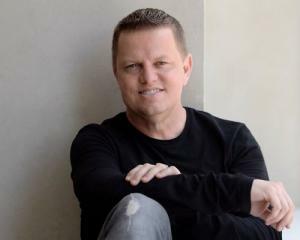 Craig Johnson is currently the Director of Ministries at Lakewood Church in Houston, Texas. He oversees all pastoral ministries and staff and travels throughout the year, speaking to organizations about the reality of special needs families and the hope God has for them. In 2009, Craig launched the Champions Club, a state of the art facility for special needs kids that features a physical therapy room, spiritual therapy room, sensory room, and an educational room. 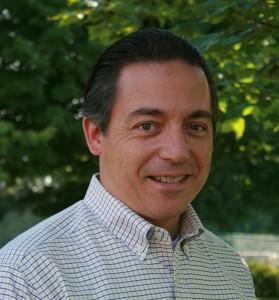 He is the co-creator of Champions Curriculum for special needs families and is the author of the book Lead Vertically. As an enthusiastic advocate for special needs children, Craig firmly believes the best is yet to come. Craig is married to Samantha and they have three children: Cory, Courtney, and Connor. Kathy McClelland is the author of Beauty in Broken Dreams: A Hopeful Handbook for the Early Years as a Special Needs Parent. Her second son was born with a rare (1 in 50,000 births) chromosomal disorder which catapulted her into the world of special needs parenting. 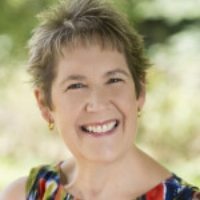 A former marketing manager, she now blogs at kathymcclelland.com about finding beauty and hope in the midst of broken dreams. She is also a regular contributor to PreemieBabies101.com and has published on TheMighty.com, EllenStumbo.com and Sparkhouse.org. During her free time she likes to cycle away stress, wander Target aimlessly, and camp out at coffee shops. Slowly she is learning that God makes all things beautiful in His time, even when life doesn’t turn out picture perfect as she hoped. She lives with her husband and sons in Austin, Texas. You may follow her on her blog, All Things Beautiful, or on Facebook. Hi, my name is Donna. I have been married to my husband Jeff for 33 years. We have 4 sons, our oldest is 31 and our youngest is 20. My youngest son, Ryan was diagnosed with Duchenne Muscular Dystrophy at the age of 5. Duchenne is a degenerative progressive genetic disease. It brings about a lot of changes, ones that we have no control over. I’ve been a military wife, a stay at home mom to 4 boys, and now full time caregiver for my adult son. My life has been filled with changes, constantly shifting what is considered normal. Patty Corrigan Myers is the author of Autism Is A Blessing. Mrs. Myers has a degree in Psychology from King University. Currently, she is the Principal at The First Hope of The First Academy, a ministry of First Baptist Church of Orlando and is a Board Certified Assistant Behavior Analyst. Autism Is A Blessing is about the author’s struggle to understand Autism and the effect it has on the child and the family. Mrs. Myers has 2 children, Chelsea and Charlie. Charlie was diagnosed with autism in 2004. She has been married to her husband Tony for 27 years. One of her passions is disability awareness and working with churches, schools, and other organizations to get the word out. Mrs. Myers’ perspective is to look at the positive side of all struggles that we face and how we can learn and love through them. Make sure you check out Patty’s blog at PattyMyers.com! 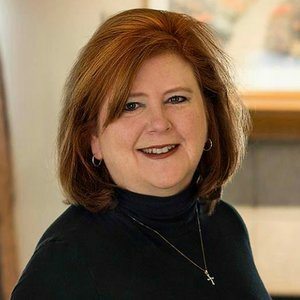 Angela Parsley is a certified biblical counselor who lives in Chattanooga, Tennessee, with her husband, Tony, and their three children. They are members of Concord Baptist Church. Angela writes and reviews books at her blog, Refresh My Soul. You can follow her on Twitter. 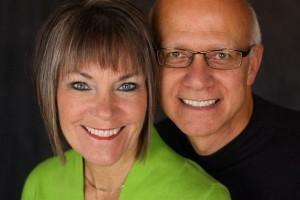 Sandra Peoples lives near Houston, Texas where her husband is planting a new church. They have two sons, one with autism.. Sandra has a degree in English from Hardin-Simmons University and a Master of Divinity degree from Southeastern Baptist Theological Seminary. A year after her son’s autism diagnosis, Sandra wrote a book about their experiences–Speechless: Finding God’s Grace in My Son’s Autism. Since then, they have seen the special needs ministry at their church grow, gotten involved in their local autism support group, and tried their best to keep up with their son James and all his energy (and therapy appointments, doctors visits, and school activities). Together, Lee and Sandra wrote Held: Learning to Live in God’s Grip, a Bible study for special-needs parents. 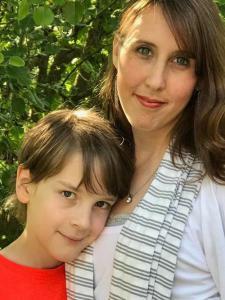 After six years in private practice as a lawyer, Sarah Parshall Perry left the workplace to stay at home with her son. That’s when the rest of her children – and her books – were born. It’s also when her very tidy life became a lot more…un-tidy. 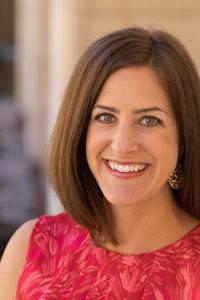 Sarah is the co-author of When the Fairy Dust Settles: A Mother and Her Daughter Discuss What Really Matters (Warner Faith 2004), the author of Sand in My Sandwich (and Other Motherhood Messes I’m Learning to Love) (Revell 2015), a contributing author to The Horse of My Heart (Revell 2015), and the author of Mommy Needs a Raise (Because Quitting’s Not an Option) (Revell 2016). Another anthology contribution is forthcoming. Her writing has appeared at Christianitytoday.com, The Stream, The Federalist, Christian Post, and the Daily Caller, among others. Sarah has a J.D. from the University of Virginia School of Law, and a B.S. 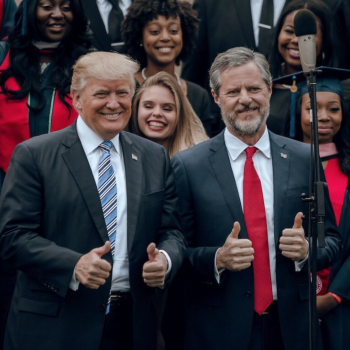 in Journalism from Liberty University. 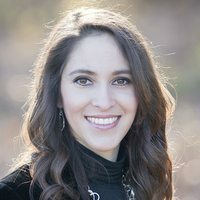 She is a consultant for the Family Research Council in Washington, D.C., and has served in youth ministry for over ten years – particularly in the area of special needs, where it’s her privilege to use her boys’ autism, OCD, and ADHD diagnoses to encourage other families living with disability. Sarah and her husband Matt enjoy an extraordinary, ordinary life in Maryland farm country. She fights three children and way too many pets for writing time whenever she can. Follow their adventures on Facebook. Jolene Philo is the daughter of a disabled father and the mother of a child with special needs. After a 25 years as an elementary teacher, she left education in 2003 to pursue writing and speaking. Since then her articles have appeared in regional and national publications including Focus on the Family, Home Cooking, and ParentLife. Her books, A Different Dream for My Child and Different Dream Parenting were released by Discovery House Publishers in 2009 and 2011. She speaks throughout the United States about parenting children and adults with special needs and post-traumatic stress in children. Her blog, www.DifferentDream.com, provides resources and encouragement for parents of kids with special needs. She also blogs about life on her dusty gravel roadat www.jolenephilo.com. With their two children married and on their own, Jolene and her husband are kicking up their empty nester heels in Boone, Iowa. I have studied English (BA) and Theology (BA & MA) though that feels a very long time ago now! Andrew & I have 3 children who are now 16, 14 & 7yrs and my girls both have a diagnosis of ASD. You can follow the ups and downs of family life & faith on my blog; www.clearlynurturing.wordpress.com. I have a heart to encourage families to share in the adventure of faith together, especially families like mine beautifully shaped by ASD. I love to write stories that make us think, get us asking questions about what we believe, and help us to discover what the Bible has to say about God and friendship with him. Evana is a God-fearing wife and mother of two children. Since becoming a parent, Evana has spent many hours driving to specialty appointments, praying beside a hospital bed, and helping her children through various issues related to their different diagnoses. 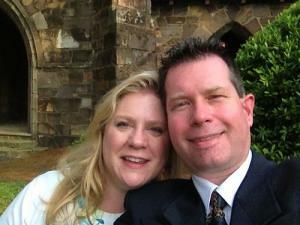 Evana and her husband will celebrate 15 years of marriage in 2018 and reside in Illinois. When she’s not engaged in motherly duties, Evana is a pediatric speech-language pathologist where she serves babies and toddlers with autism, feeding disorders, and other developmental delays. You can connect with Evana on twitter, Facebook, and her blog, A Special Purposed Life. 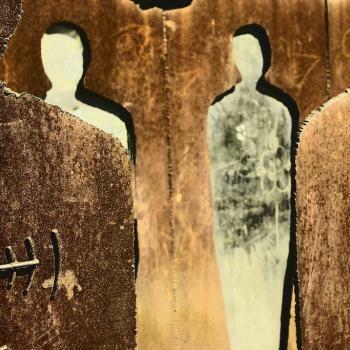 Ellen Stumbo writes with gritty honesty and openness. She is passionate about sharing the real – sometimes beautiful and sometimes ugly – aspects of faith, parenting, special needs, and adoption. Ellen’s writing has appeared on Focus on the Family, LifeWay, The Mighty, MomSense., Not Alone Parents, Different Dream for My Child, the ParentLife blog, and The Huffington Post. Ellen blogs at ellenstumbo.com and you can also find her on twitter and Facebook. Ellen’s free ebook, “You Are Enough” is a compilation of posts about disability, parenting, adoption, and a God who changes lives. You can get her ebook by subscribing to her free email list.